When it comes to Google AdWords, you need constantly optimize campaigns. But you can’t work off a hunch. You need the tools to support those hunches. 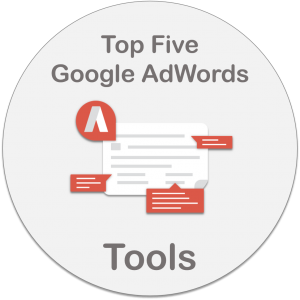 So in this post, we’re covering the top 5 Google AdWords Tools to you can use to improve campaign performance. If you want to analyze your ads and competitor ads in real time, then the Pagezii Ad Analyzer Chrome Extension is for you. The AdWords Chrome Extension will analyze ads by conversion elements and messaging style and provide an overall score based on how well optimized the ad is. 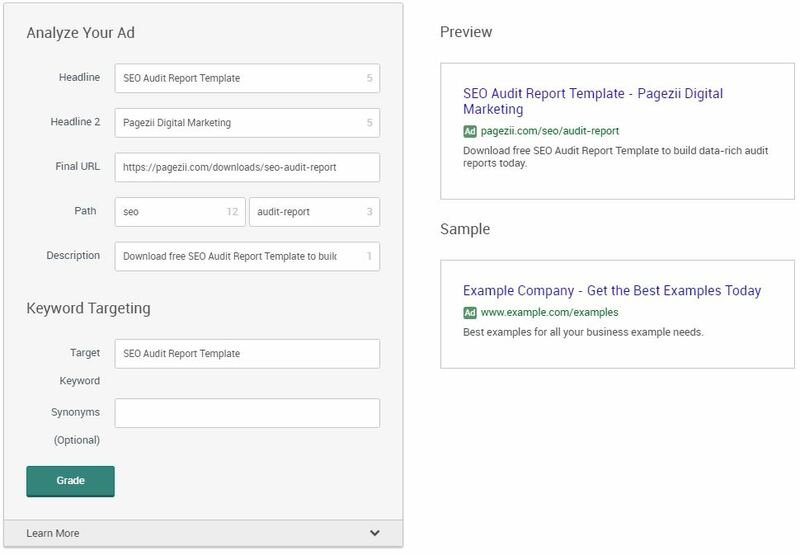 And if you want to take your AdWords Analysis to the next level, you can build your ads in Pagezii, grade those ads by a specific keyword, and see how well optimized your ads and keywords will be for your landing page. 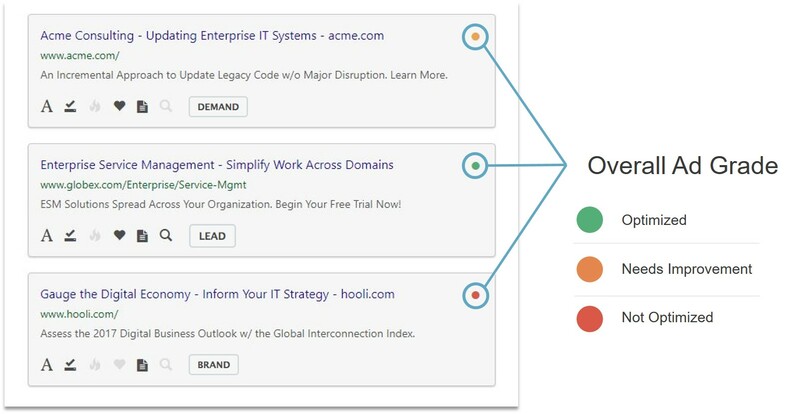 Give the Ad Grader Tool a try today and start improving your ad campaign performance. If you’re doing keyword research for search advertising, the Adwords Keyword Planner is the de facto tool. 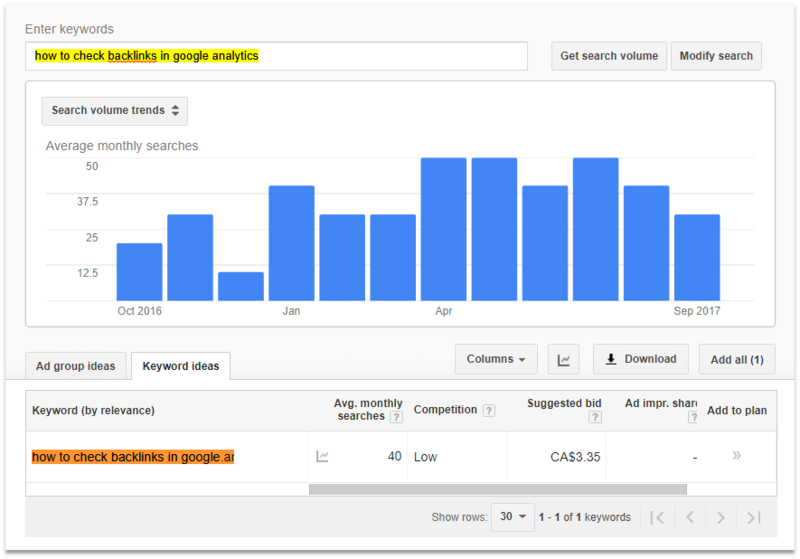 It’s simple to use, and when you search for a query, you’ll see monthly search volumes, avg. cost per clicks, and competition for that keyword. You can also download your research into excel and really dig through the data. You’ll need an AdWords account to use the tool, but it’s keyword research directly from the source. If you’ve ever talked to an AdWords Specialist, one of the first things they’ll ask is if you’ve integrated AdWords and Analytics. 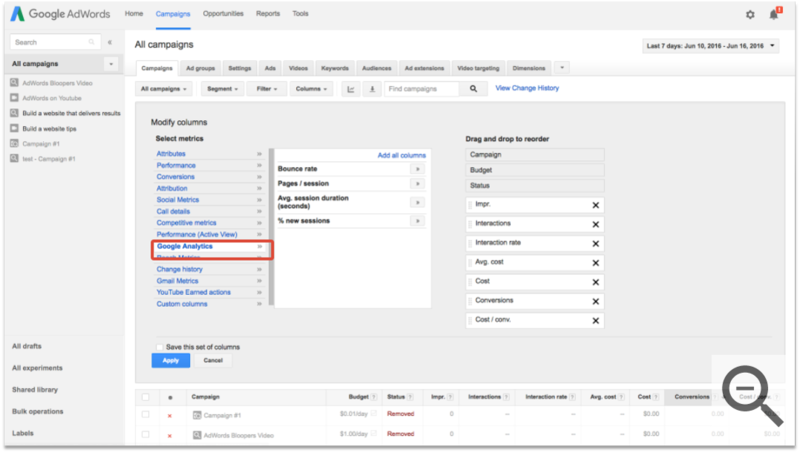 By integrating AdWords and Analytics, you can get visitor behavior data, shown directly in your AdWords campaigns. And this is awesome visibility into campaign performance. This data shows you if your campaigns are doing more than just getting clicks and high CTRS. It’ll show if your visitors are bouncing, how long they’re sticking around on your site, and most importantly if they’re converting. The AdWords Editor tool is for high-level AdWords accounts. Those which slice-n-dice campaigns down to the nitty-gritty. Why is it one of our top Google AdWords Tools? Because if you’re serious about managing accounts, The AdWords Editor is a must for making large-scale updates and changes. You can also download the AdWords Editor onto your desktop for free and work offline. 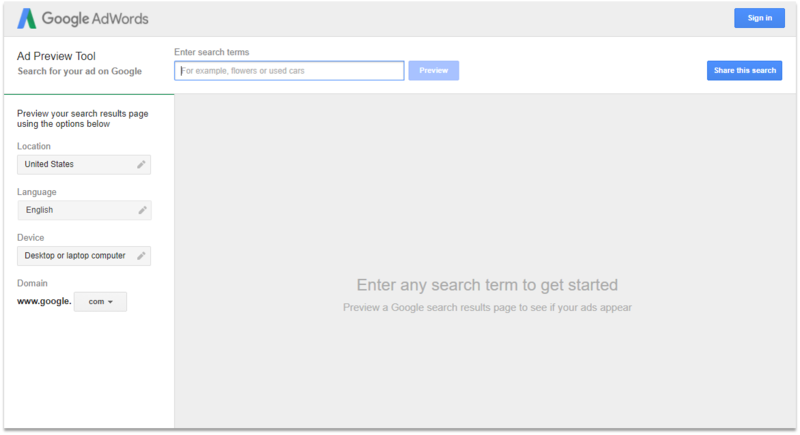 And last but not least, I had to include one of my go-to Google AdWords tools. When managing AdWords accounts, I often find myself navigating over to the preview tool. Because it lets me preview my ad, in real time alongside other ad competitors. I can also set my geolocation to wherever I want. So for accounts targeting different countries, this tool is a must-use. And you don’t even need to be logged into to AdWords to use the tool. But when you sign into your AdWords account, your ads will highlight in green when they generate an impression through the tool. This is good for taking screenshots and tracking your real-time look in SERPs over time. With these tools, you’ll transform your seemingly normal Google AdWords campaigns into highly-researched, conversion rate optimized pieces of art. Give these tools a-go today, and start improving your Google AdWords campaigns.